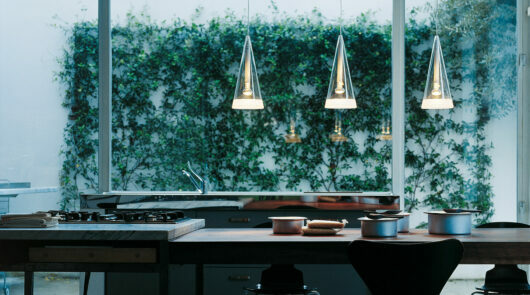 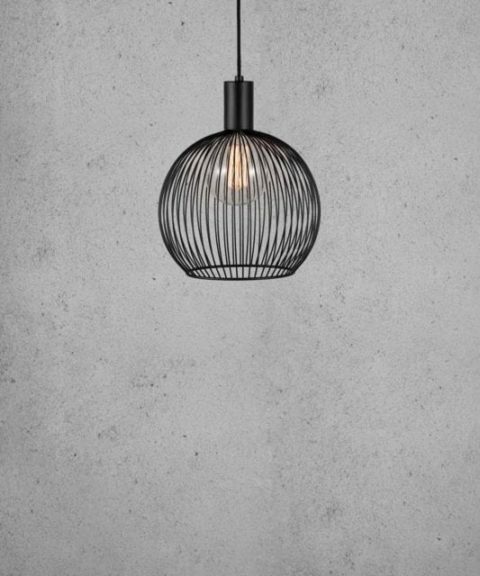 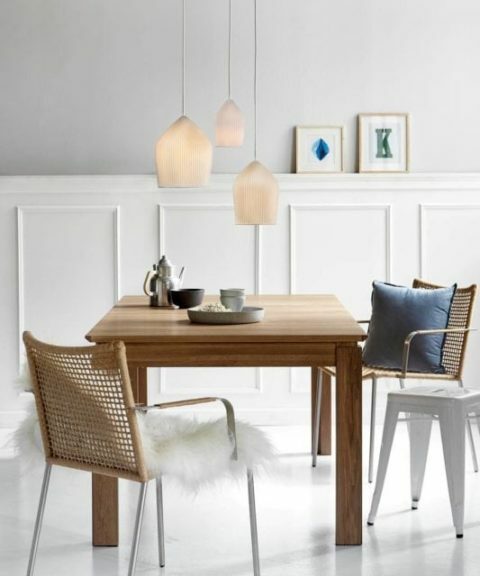 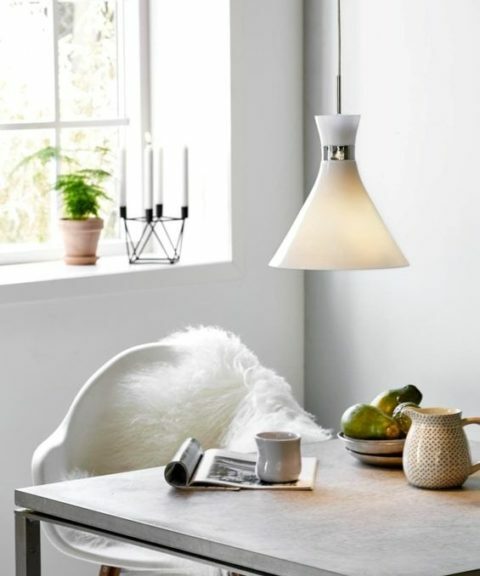 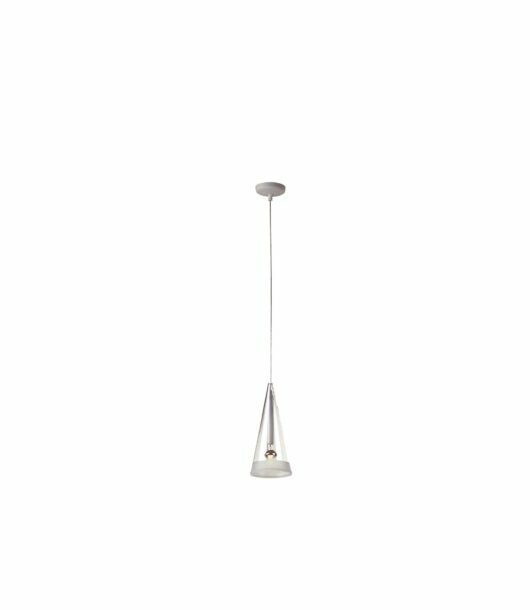 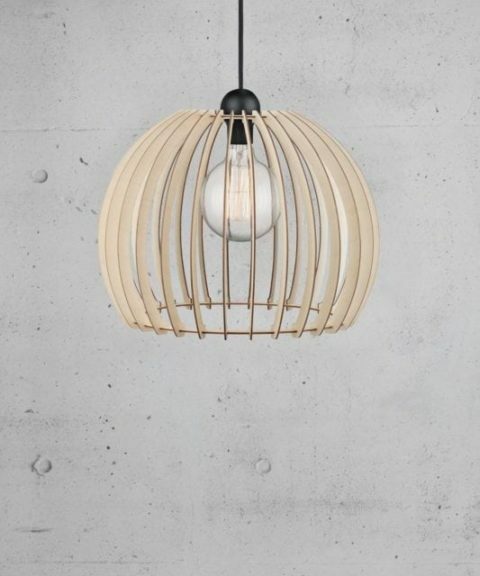 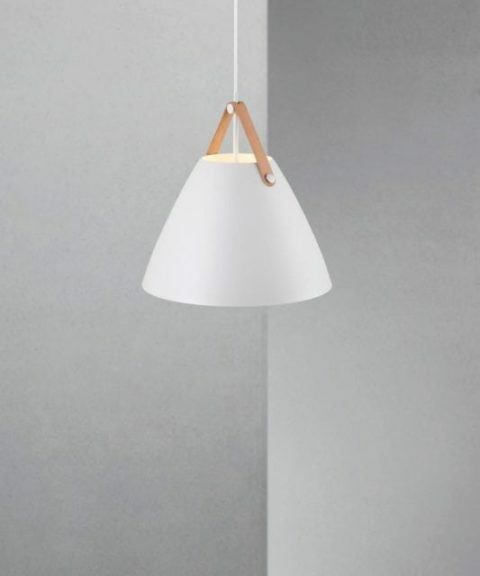 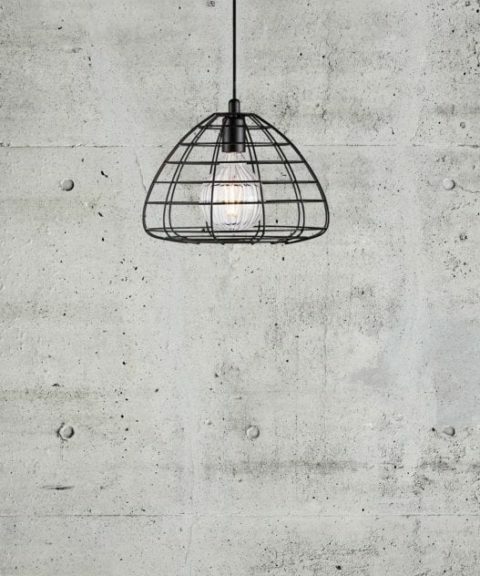 Suspension lamp providing direct light. 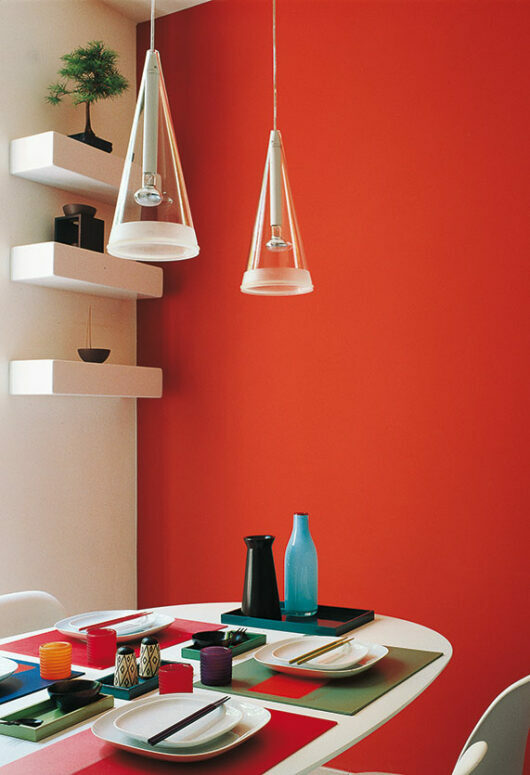 1 hand blown glass conical diffuser with sandblasted edge. Injection-molded, opaline silicone diffuser protection ring. 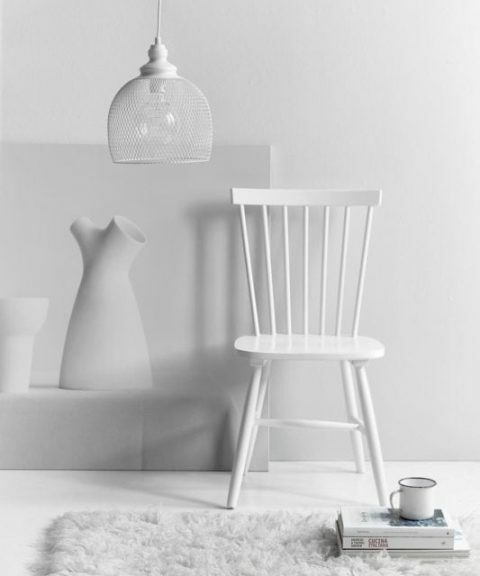 Gloss white powder-coated tubular steel body. 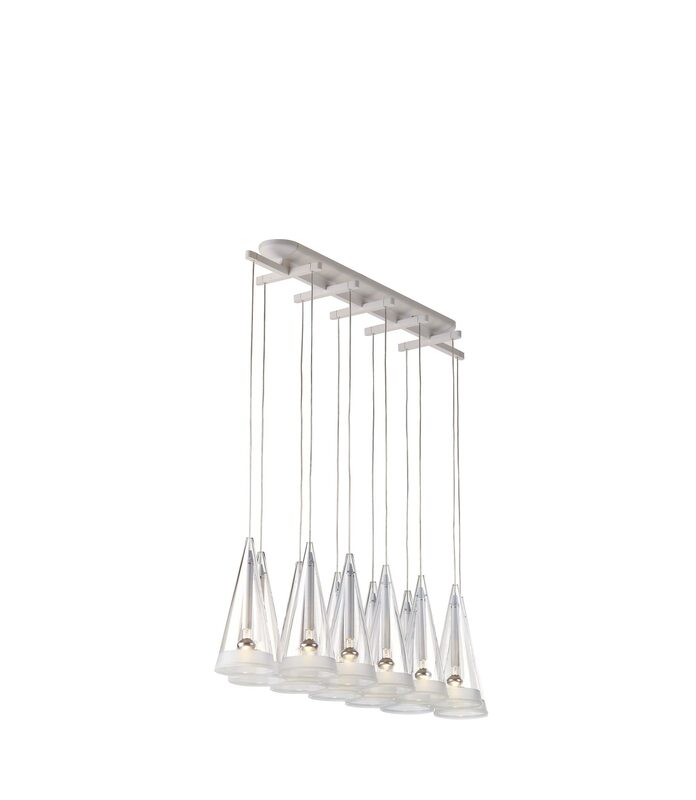 Rose assembly consisting of ceiling fitting and 30% fiberglass reinforced polyamide cover, both injection-molded.